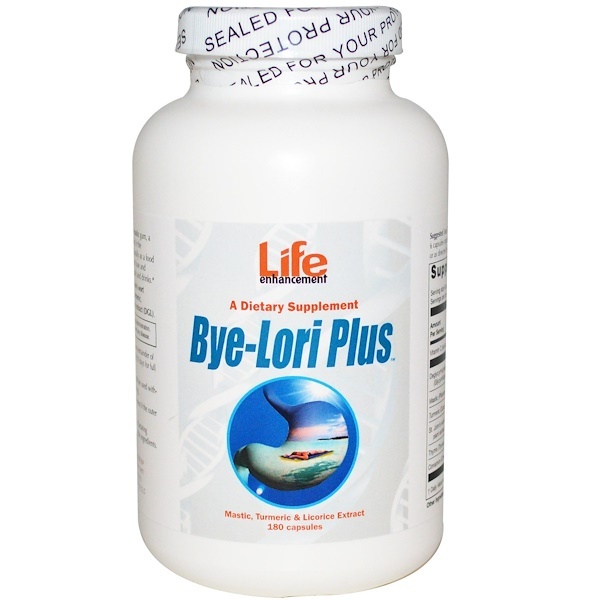 Bye-Lori Plus is a dietary supplement containing mastic gum, a natural resin of the pistacia lentiscus tree, cultivated in the Mediterranean for thousands of years. Used traditionally as a food antioxidant, mastic is used today as a chewing gum base and flavoring additive in a wide range of traditional foods and drinks. 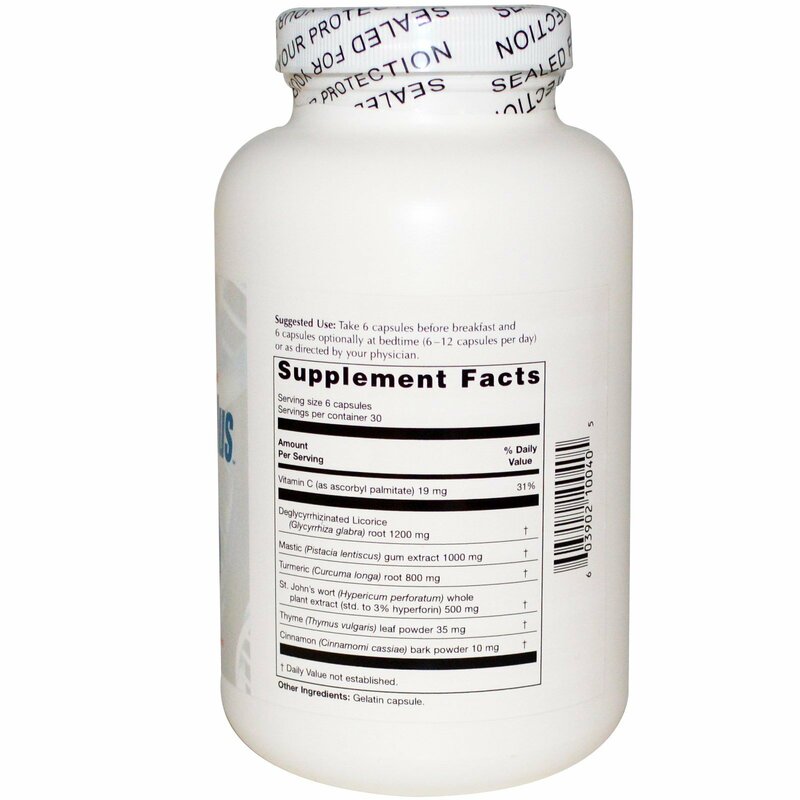 In addition to mastic, Bye-Lori Plus contains St. John's wort extract (standardized to 3% hyperforin), thyme, turmeric, cinnamon powder and deglycyrrhizinated licorice extract (DGL). Take 6 capsules before breakfast and 6 capsules optionally at bedtime (6-12 capsules per day) or as directed by your physician.